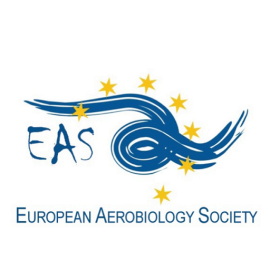 EAS and EAN support large as well as local scale projects to support science in the field of aerobiology. From COST to PROMOTE to Kopernikus? In Europe, the COST action which shall prepare multidisciplinary approach to the problem of forecasting hourly pollen concentrations all over Europe, is in continuation. Gaps of knowledge have been defined; strategies to overcome temporarily missing information are in preparation. As a follow-up, the COST Action has emerged to an ESA project PROMOTE, PROtocol MOniToring for the GMES Service Element. This is a large EC-Downstream service project named “Kopernikus”(formerly GMES -Global Monitoring for Environment and Security). A patient’s hayfewer diary has been developed which will be available in the web with 1st of January 2009. It combines patient’s symptoms and local pollen counts. For the patient and his allergist, it shall be a help for diagnosis and monitoring therapeutic effects, for aerobiology it shall help determiningregional thresholds for various pollen and spore types. The program is part of the COST ES603 action. On http://phd.polleninfo.org/en is already a test version in English. Those who want to use it for their own country and get access to the data should contact Uwe Berger for information about translation options. EnviObserver project (https://knowledge.vtt.fi/eo/), that allows users to report on various pollen taxa that they have spotted, plus report on symptoms and share all these information with the aid of a web-based, google-maps oriented information platform. The project MicroPoem, a collaboration of MeteoSwiss and the Institute of Meteorology, Climatology and Remote Sensing (MRC Lab), University of Basel, aims at the investigation of the impact of micrometeorological factors on birch pollen emission. A second objective is the determination of pollen emission parameters, which will be implemented in pollen forecast models.